Detectives at heart, have you met our Council’s keepers of history yet? 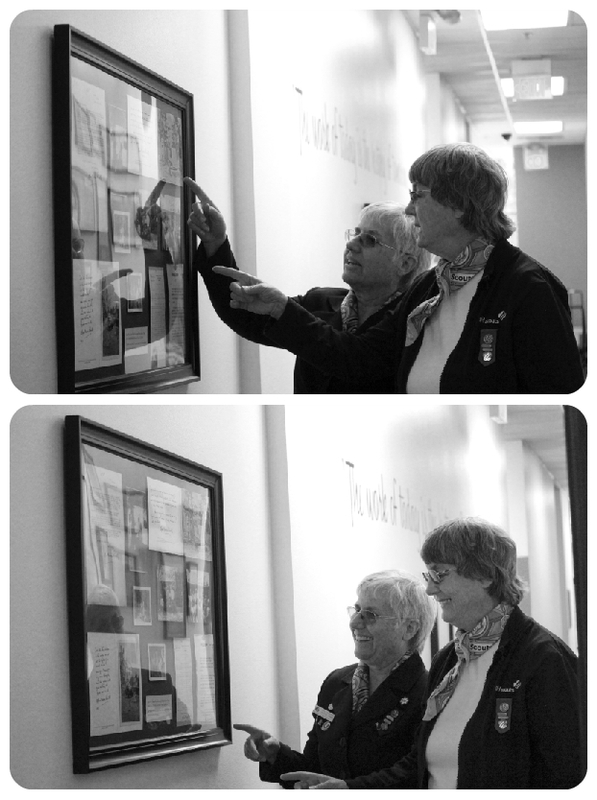 Gail Seekins (eft) and Barbara Pepper (right) examine the collection of Lady Olave Baden-Powell they discovered at Camp Wi-Wo-Ca in 2012. It’s not unusual to see Barbara Pepper, a Girl Scout of 27 years, and Gail Seekins, a Girl Scout of 43 years, busying themselves around the San Gorgonio offices or a Gold Award Committee meeting, training new volunteers or leading girls at camp, coordinating a display of antique Girl Scout uniforms or meticulously archiving some small artifact of Girl Scout history. In fact, what’s most unusual is to meet a staff member, volunteer or Girl Scout who hasn’t met one of these two busy ladies at least once. The first time I met Barbara, I was only a few months into working with this Council. She was dressed in her trademark khakis and smiling in the summer heat while teaching a group of campers to properly read their compasses. It was just before noon at Camp Wi-Wo-Ca. What most impressed me was her ability to hold the attention of twenty fidgeting, hungry little girls. Her patience and love for them was self-evident: here was a woman devoted to bestowing tradition on a new generation. 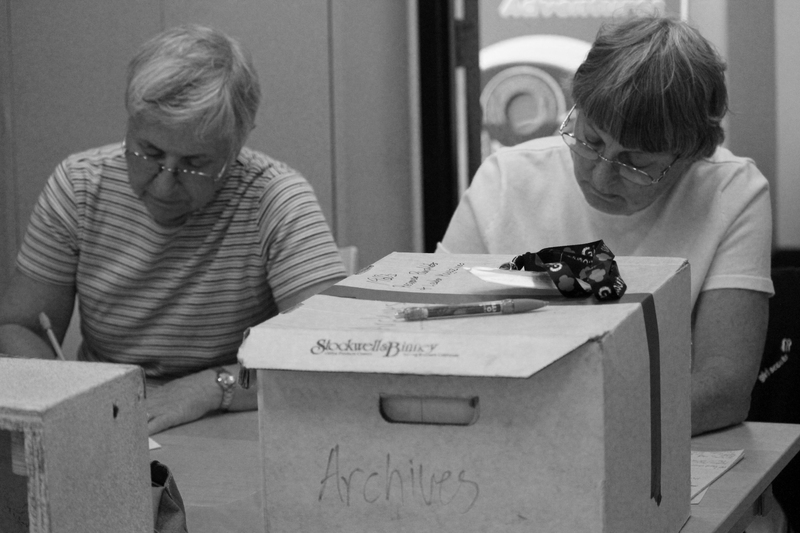 Hard at work in their archives office. Soon after this brief encounter, I had the privilege of working with both of them on what would be the start of our Council’s unofficial, yet officially splendid, History and Archives Department. Together we coordinated a display with the Corona Library and hosted an exciting Girl Scout exhibit at the Riverside Metropolitan Museum. 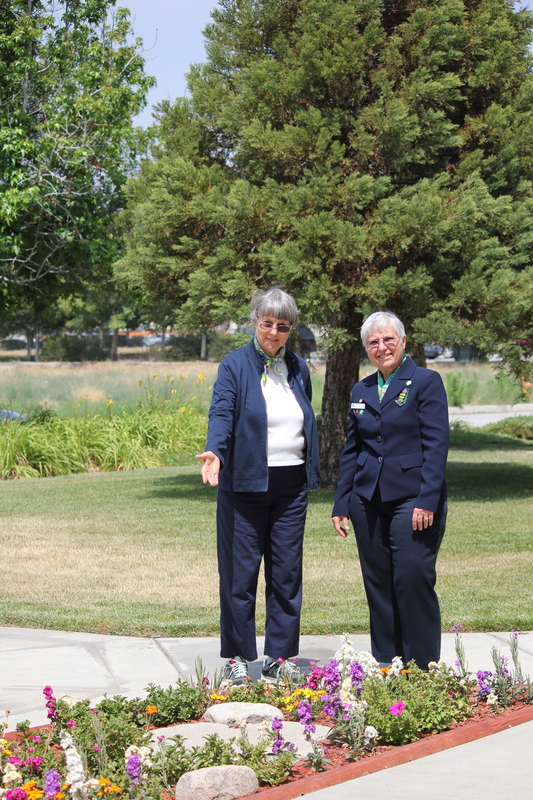 Truly, the commitment of Gail and Barbara, who have devoted themselves entirely to preserving this Council’s history and tradition, is nothing short of a blessing. In May of 2012, Gail, alongside volunteer Beth Newton and GSSGC’s Director of Properties Robert Keeling, uncovered a kind of lost treasure within an inconspicuous storage closet at Camp Wi-Wo-Ca; boxes upon boxes of old Girl Scout memorabilia, scrapbooks, photographs and trinkets buried beneath decades of dust, trash, and vermin waste. The roof had collapsed, inviting Mother Nature to enact a reign of terror upon the contents. In addition to dirt and grime, everything was damp and aged. Showing off their collection, carefully preserved in new acid-free boxes. “And we knew right where it needed to go,” said Barbara, referring to a safe place in the Redlands offices. “And luckily no one argued with us,” Gail added. 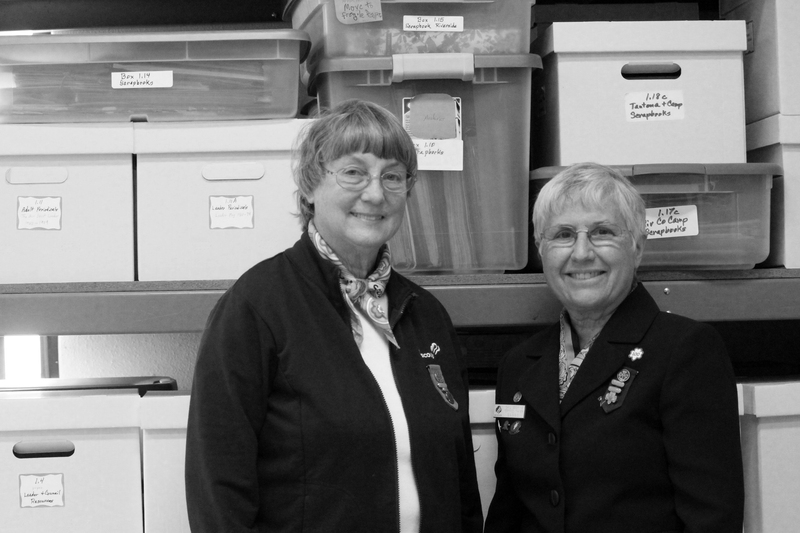 Although inevitably some of the items had to be thrown away, Barbara and Gail carefully cleaned, polished, and pressed each “thingy,” their name for miscellaneous items, badge, and uniforms they uncover. All of this was lovingly done by hand, at home or in a council office. Since 2012, their collection has grown exponentially. Word of their work has spread, and donations from individuals all over Riverside and San Bernardino have appeared. In some cases, they have even had requests from individuals in Los Angeles, Orange County, and as far away as Sacramento. They now have so many items to keep track of that a simple notebook no longer suffices. Gail brings her tiny laptop computer with them everyday and they input each item into an ever-expanding, ever more complicated Excel spreadsheet. They have currently a total of 3,500 individual items logged, along with the donor’s information (if applicable) and a brief description. “And that doesn’t count the items within the items,” explains Gail. Preserving the past for future generations: a small garden with a reclaimed dedication stone to Brownie Troop 326, who sold 401 boxes of Girl Scout cookies. A council record in 1959. They hope to eventually catalog every photograph in every one of their dozens of scrapbooks; each scarf and vest that make up one of their many preserved uniforms. An ambitious goal to be sure. “I’m not worried about what I will do in my eighties and nineties,” jokes Barbara. To date, Gail and Barbara have proudly displayed Girl Scout history in collaborations with: the Corona Library; Riverside Metropolitan Museum; City of Grand Terrace; GSSGC Alumnae Association; B.I.G. Expo; Mission Inn Foundation; Cal State San Bernardino; City of Redlands; Women’s Club of Fontana; and most recently, Give BIG San Bernardino. What an awesome undertaking. Preserving the past is so important. 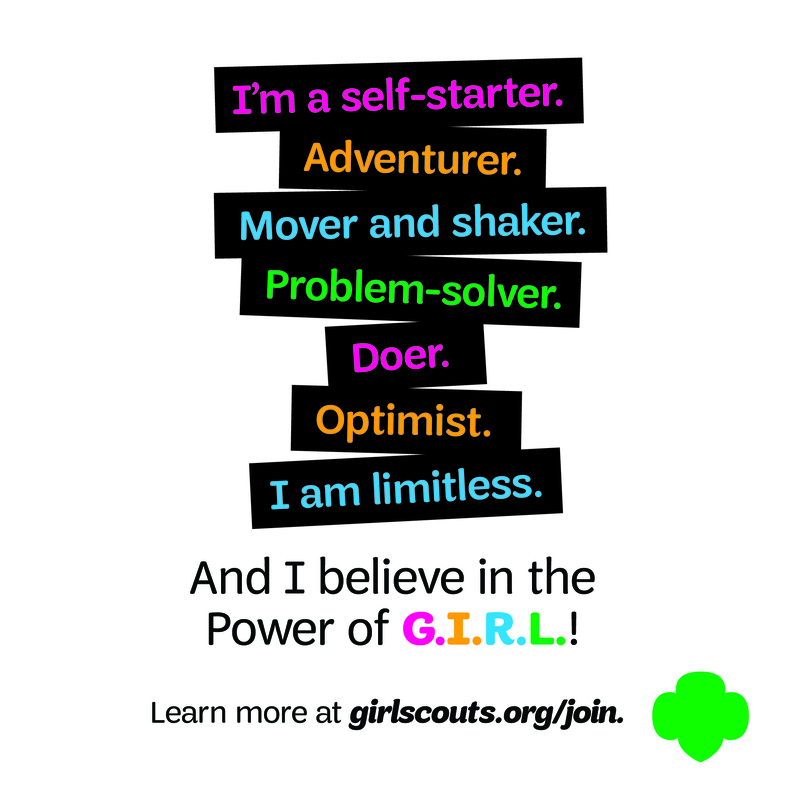 I’m a retired elementary teacher and a former Girl Scout. While packing up, in preparation for my move to Indio CA. I found my Brownie, Junior, and Cadette Girl Scout handbooks. I enjoyed reading them after all these years. Would you be interested in adding my handbooks to your collection? They are too good to throw away. 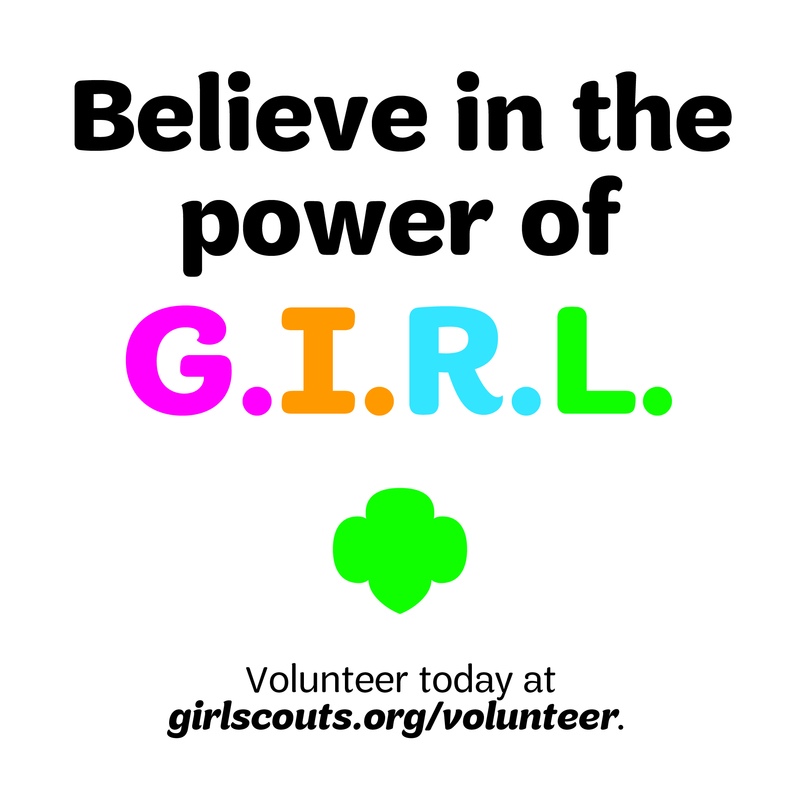 Thank you for your dedication to Girl Scouts. 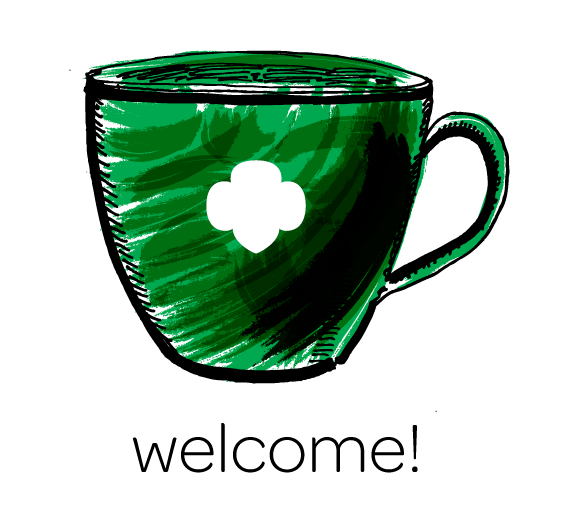 Previous Previous post: Girl Scouts have fun at the Broadway Block Party! Next Next post: Get to know your council! Q & A with Barbara Pepper.